The Supreme Court got an occasion to consider the issue, in a writ petition filed by ‘Resurgence India’, an NGO working for social awakening. The Court has issued guidelines empowering the Returning Officers to reject a nomination paper if the candidate fails to fill the blank even after the reminders by the Returning Officer. While conferring such power, it has cautioned that such power must be exercised very sparingly and should not be at the cost of justice. The Writ Petition was filed after a massive exercise under the banner of ‘Punjab Election Watch’ scrutinizing the affidavits filed by the candidates of six major political parties. The NGO found large scale irregularities in most of the affidavits filed by the candidates. 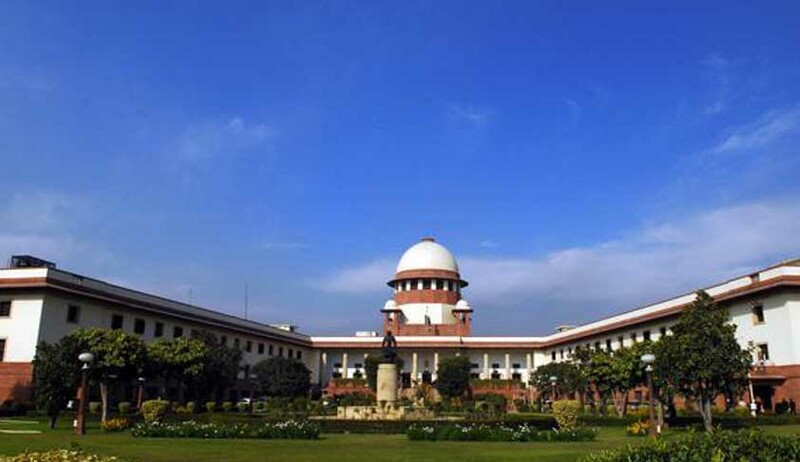 Since the judgment of Supreme Court in PUCL & Anr Vs Union of India and Ors (2003 4 SCC 399)did not permit Returning Officer to reject the nomination paper solely due to submitting of faults / incomplete / blank information in the affidavit by the candidates, and the Election Commission also expressed its inability in rejecting nomination paper in view of PUCL judgment, the writ petitioner had to seek a mandamus from the Court to make it compulsory for Returning Officer to ensure that the affidavit filed by candidates should be complete in all respects and reject those nomination papers which are supported by incomplete / blank affidavits . The court held that the information about the candidate to be selected is a must and the right to know of the candidate is a integral part of Article 19 (1) (a) of the Constitution of India. i.The voter has the elementary right to know full particulars of a candidate who is to represent him in the Parliament/Assemblies and such right to get information is universally recognized. Thus, it is held that right to know about the candidate is a natural right flowing from the concept of democracy and is an integral part of Article 19(1)(a) of the Constitution. ii. The ultimate purpose of filing of affidavit along with the nomination paper is to effectuate the fundamental right of the citizens under Article19(1)(a) of the Constitution of India. The citizens are supposed to have the necessary information at the time of filing of nomination paper and for that purpose, the Returning Officer can very well compel a candidate to furnish the relevant information. iii. Filing of affidavit with blank particulars will render the affidavit nugatory. iv. It is the duty of the Returning Officer to check whether the information required is fully furnished at the time of filing of affidavit with the nomination paper since such information is very vital for giving effect to the 'right to know' of the citizens. If a candidate fails to fill the blanks even after the reminder by the Returning Officer, the nomination paper is fit to be rejected. We do comprehend that the power of Returning Officer to reject the nomination paper must be exercised very sparingly but the bar should not be laid so high that the justice itself is prejudiced. v. To the extent that Para 73 of People's Union for Civil Liberties case (supra) will not come in the way of the Returning Officer to reject the nomination paper when affidavit is filed with blank particulars. vi. The candidate must take the minimum effort to explicitly remark as 'NIL' or 'Not Applicable' or 'Not known' in the columns and not to leave the particulars blank. vii. Filing of affidavit with blanks will be directly hit by Section125A(i) of the RP Act However, as the nomination paper itself is rejected by the Returning Officer, we find no reason why the candidate must be again penalized for the same act by prosecuting him/her. Much of electoral reforms in India seen today is through the intervention and directions of the Supreme Court of India. Through the judgment, the court has brought the electoral reforms to the next level.